Antimicrobial resistance (AMR) refers to changes in infectious organisms (viruses, bacteria, fungi and parasites) so that they can no longer be controlled or treated effectively by standard drugs such as antibiotics, antivirals and antifungals. AMR is an increasingly serious threat to public health and NCCID works with partners across the country to provide evidence and resources on AMR surveillance and antimicrobial use (AMU). Antibiotic resistance is an issue health practitioners around the world face daily. Numerous Canadian health-related organizations have partnered in an effort to promote the prudent use of antibiotics and fight the threat of antibiotic-resistant bacteria. It is hoped these efforts will help improve public health in Canada by offering practical tools that focus on the threat of antibiotic resistance. 1. A systematic literature search was performed to identify, describe and evaluate Canadian and international AMR and AMU surveillance programs, with analysis of their attributes. A structured evaluation method was applied to exemplar Canadian and international systems, and a more detailed analysis review of two models of surveillance (Denmark’s DANMAP program and the European Centre for Disease Control and Prevention’s EARS-Net and ESAC-Net programs) was performed to identify their relevance, strengths and weaknesses in potential application to a Canadian context. 2. A semi-structured interview protocol surveyed Canadian experts from key stakeholder groups (including but not limited to public health and infectious diseases physicians, physician and PhD microbiologists, antimicrobial pharmacists, veterinarians, and representatives of the food animal industry) to ensure a full understanding of current functioning Canadian AMR and AMU surveillance in all sectors, to identify perceived strengths, and weaknesses, and to identify perceived needs. 3. A review of previous Canadian antimicrobial resistance and surveillance consensus meetings, reports and recommendations to inform the development of an actionable set of recommendations. This document provides a roadmap for improving antimicrobial stewardship (AMS) in Canada and lays out a series of 10 areas for a national Action Plan on antimicrobial stewardship in which governments, healthcare organizations and professionals, civil society groups and the public can collaborate to preserve the effectiveness of antimicrobial drugs such as antibiotics. It is built on the work of 50 experts, key influencers and stakeholders in the field of antimicrobial stewardship (AMS) and antimicrobial resistance (AMR) who met at a national roundtable in June 2016. The Canadian Nosocomial Infection Surveillance Program (CNISP) Report: This summary report for ARO data from January 1, 2012 to December 31, 2016 provides a review of available ARO data in Canada and responds to the requests from hospitals to have access to this data in a timely manner.  The Antimicrobial Resistance and Nosocomial Infections Laboratory at the National Microbiology Laboratory in Winnipeg provides molecular testing of both hospital- and community-acquired strains of MRSA, VRE, and ESBLs. The Canadian Antimicrobial Resistance Alliance (CARA) provides online data from several surveillance studies of antimicrobial resistant organisms as well as educational resources on antimicrobial resistance. The Canadian Integrated Program on Antimicrobial Resistance Surveillance (CIPARS) is a federal program for surveillance of enteric pathogens in both human and animal environments, including data collected from farm, retail food, and clinical sites. IPAC CANADA (Infection Prevention and Control Canada) is a multidisciplinary, professional organization for those engaged in the prevention and control of infections. A number of excellent AMR resources are listed. NCCID has also prepared this downloadable list of AMR surveillance databases. The Antimicrobial Stewardship Directory provides information about the commitments and activities of the participants at the 2016 Canadian Round Table for Antimicrobial Stewardship. The activities correspond with the commitments of each member agency as outlined by the Putting the Pieces: A National Action Plan for Antimicrobial Stewardship. For background documents related to this directory, consult the event page and meeting report on the NCCID website.